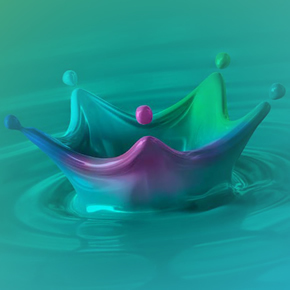 Designed to offer a glimpse into the wide-ranging work undertaken by Crown Paints, the report explains how sustainability plays an important role throughout the company, whilst touching on the benefits it brings to Crown’s customers. The report outlines Crown’s latest successes and examines its future initiatives, which have been introduced to ensure the manufacturer meets its corporate responsibility goals. The publication features an overview of Crown Paints’ operations, and the workings of its specification brands; further information on Sadolin and Sandtex Trade, for example, are provided. It records an update of progress towards the company’s sustainability targets under its Earthbalance programme, placing an emphasis on the reduction of energy, waste and Green House Gas emissions. The report also offers an insight into the company’s partnership with NIMTECH. Crown is currently working in conjunction with the social enterprise to introduce new methods of reducing, reusing and recycling waste, whilst offering training and job opportunities for unemployed team members. Crown has included details of its Specification Services, offering information on its CPD programmes, site surveys, colour scheming advice and BIM objects. The company also draws attention to its specification writing surveys, and its ongoing development of sound cyclical maintenance.